Q: Can I use my self-directed IRA as down payment for a rental property? How does that works with the bank? Will they issue the loan in my name and I take the money from the IRA for a down payment? A: Loans used for property purchased using IRA assets are non-recourse loans. You personally cannot guarantee any portion of the loan for property purchased by the IRA. The loan will be the IRA’s loan therefore a conventional loan will not be appropriate for this type of situation. With the loan being the IRA’s loan, it will be held under the IRA’s name. Non-recourse loans can only go after the property under the IRA held as collateral. Q: If I set up and manage an LLC that purchases an investment property, can my IRA invest in that LLC as a member? A: There are rules regarding IRAs investing in a company that is owned and managed by you personally. I would highly recommend that you seek the assistance of a legal advisor before proceeding with this type of arrangement. Internal Revenue Code 4975 which talks about dealing with prohibited transactions will be the area that needs to be considered. 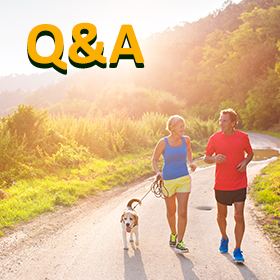 Q: Is there a limit to how much property you can hold in your self-directed IRA account? A: There is no limit on the amount of properties your IRA assets can purchase. Q: Does a self-directed solo 401(k) also have to pay UBIT for LLC earnings? A: Solo 401(k)s or Individual 401(k)s that invest in an LLC may have to pay UBTI for earnings that are associated with a trade or business. Other income such as dividends or rental income are not subject to UBTI. IRS publication 598 would be a good resource to read with your tax advisor regarding this subject. Q: What happens when a property bought with a self-directed IRA was foreclosed? Would that be a write-off? A: No, if property under a self-directed IRA is foreclosed, you personally cannot get a tax deduction from it. Q: Does a self-directed IRA allow investments in real estate (i.e. rental property)? If so, how are profits sent back to the IRA? A: Yes, self-directed IRAs can invest in income producing properties. The income from the properties have to be sent directly to the IRA (custodian/trustee). The common scenarios are either the renters send the rent checks made payable to the IRA or the IRA holder hires a property manager. The property manager collects the rent checks and send the checks to the IRA custodian/trustee to be posted to the IRA. This income is not taxable since passive income of an IRA is not taxable until distributed from the IRA. If you missed this webinar, watch the video recording here to learn what you can do with an old employer-sponsored plan that would help diversify your portfolio.